Last week I was in Los Angeles to hang out at the Vanity Fair Social Club for VF's week-long suite of fabulous aka Campaign Hollywood. I was a very happy blogger to be invited to attend and I basked in the awesome panel discussions and beauty experiences. 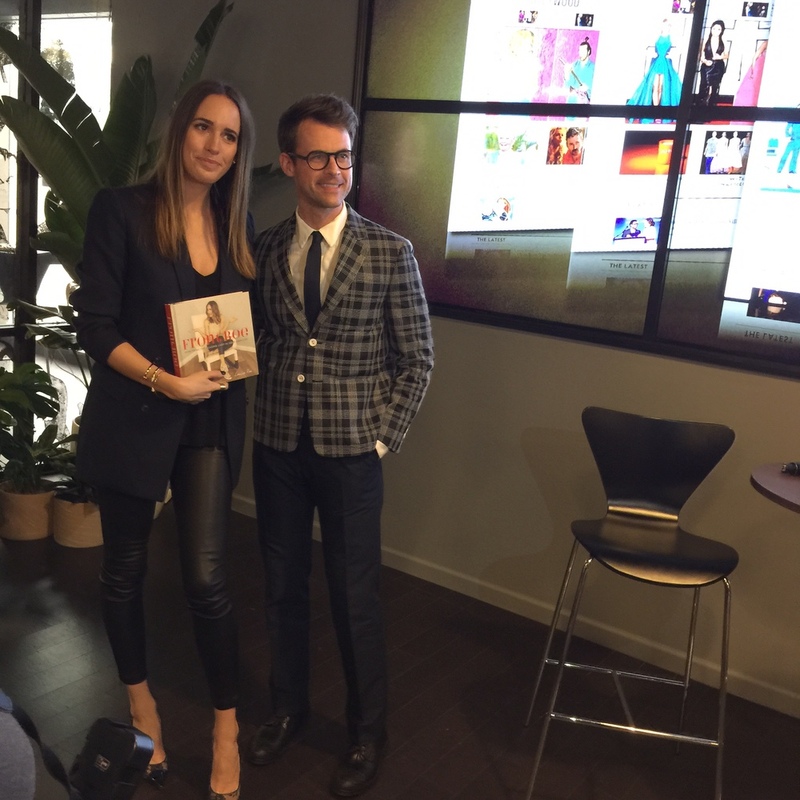 Brad Goreski and Louise Roe were fantastically entertaining as they discussed tips from and the making of Louise's new book, Front Roe. And everyone looked ah-mazing after their makeup touch ups by Tim Quinn (and team) for Giorgio Armani beauty and their hair styling sessions at the L'Oreal Paris dry styling bar. One of my favorite parts of the suite was the Twitter vending machine where you paid WITH A TWEET (a tweet!) for the goodies you wanted. Here's how it worked: you tapped on the item you wanted, then it brought up hashtags to use in your tweet and once you, um, tweeted your tweet(? ), your item was dispensed. I was obsessed. Check the blog tomorrow - I have a special treat in store for my readers involving a bit of swag I picked up at the suite. Kaila Yu getting her tweet on. Wearing a bit of Rag & Bone to meet Brad Goreski. Oscars set up in progress at the Dolby Theater. Posted on February 24, 2015 by Amanda and filed under events and tagged Vanity Fair Vanity Fair Social Club Campaign Hollywood Oscars Oscars 2015 Los Angeles.